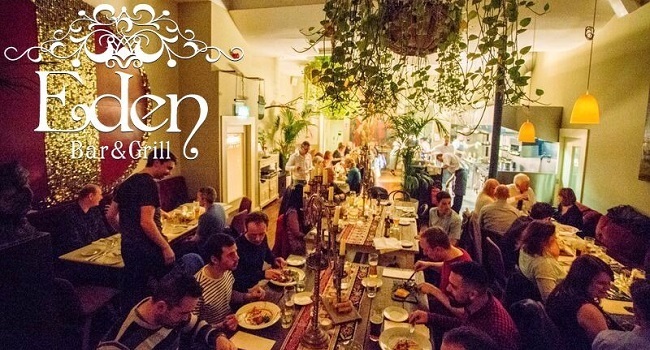 Eden Bar & Grill is a hidden gastronomic gem located in the middle of Dublin’s creative quarter. It’s the perfect location to share a relaxed brunch with friends, family or a special someone, as it’s conveniently close to many of the city’s best cultural attractions and shopping areas, making it ideal as the first stop in a wonderful day out. Eden Bar & Grill offers an indulging feast for all the senses: fabulous cocktails from their exciting and tempting menu and dishes inspired in cuisines both local and remote can be enjoyed in this alluring venue, surrounded by delicious architecture and design. The Eden Bar & Grill brunch menu includes an eclectic assortment of delights combining classics such as Eggs Benedict, with world flavours including Colombian and Turkish eggs, and wholesome vegetarian options. Brunch is available on Saturdays and Sundays between 12:00 to 4:00 pm. Eden Bar and Grill has teamed up with TheTaste to offer you a fabulous brunch experience for 2: choose a dish from their Heavenly Brunch Menu and a glass of Prosecco each for only €25.